Motorsport.com's sister publication Autosport counts down the top 50 racing drivers of 2018 in its customary five-part feature series. Nigel Mansell and Mark Martin were, previously, the only drivers aged 50 or above to have made Autosport's Top 50 cut in this feature's history. The fact that Gabriele Tarquini has made this year's list, then, means the tin-top veteran's 2018 achievements are not to be underplayed. Tarquini's headline success in winning the inaugural World Touring Car Cup crown is the principal reason behind his inclusion, but the backstory behind his title, and the manner in which he claimed it, are important too. 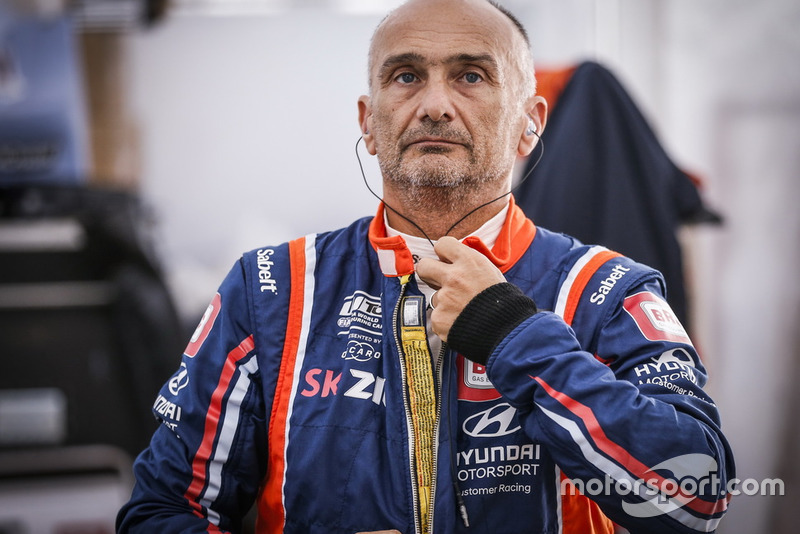 Without a World Touring Car Championship drive in 2017 after Lada's shock withdrawal, Tarquini was Hyundai's first choice as test driver for its TCR project - its first in circuit racing. 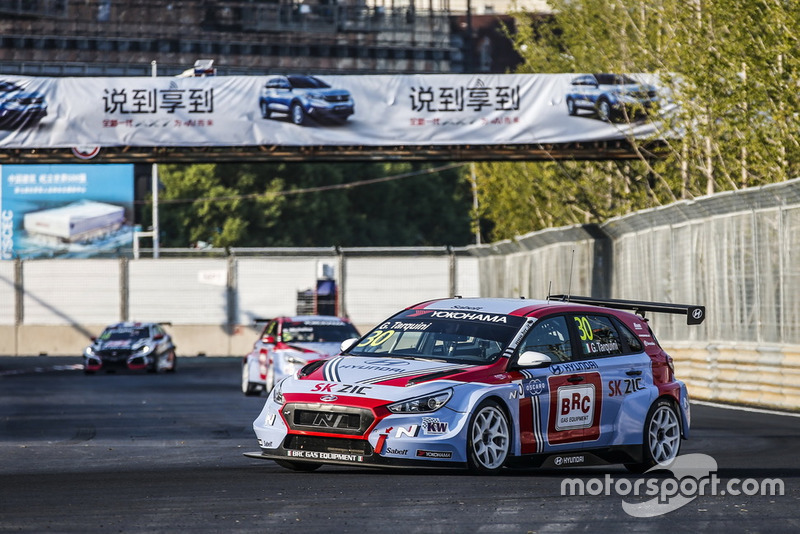 A year of plenty of mileage, plus wildcard race outings during the i30 N's development phase, followed, and left both the car and driver well-placed for the following World Touring Car season - the first since the series adopted TCR regulations. That preparedness could be used to diminish the value of Tarquini's success, but the Italian was flawless at the opening couple of rounds - winning three of the first six races to establish a healthy points lead. He would lose that lead until the mid-season break, and almost forfeited the title at the Macau season finale by allowing Yvan Muller to reduce a 39-point deficit to an arrears of three, but make no mistake - the old man of touring car racing was the class of what was arguably the most competitive World Touring Car field since he claimed the 2009 WTCC title. Yes, the Hyundai was a step ahead of the rest, but Tarquini still had to beat two world champions in Muller and Thed Bjork - driving for what was effectively the squad behind Volvo's 2017 WTCC title success - plus highly-rated team-mate Norbert Michelisz within that group of drivers. His tally of five victories was more than anyone else achieved, while he also claimed two qualifying pole positions. He hadn't managed that previously since 2013. "When I got the green light to make a TCR car - it was 2016 - the first person that I contacted to be part of the team was him. I think that says enough. I don't want to judge what he did this year, but I'm telling you I was not surprised. "I have to be focused on the job, not the human relationship. If I thought that he would not be able to perform as he did, I would not [have given him] a contract to race. The best thing I can say about Gabriele is that I made a contract for him knowing he could perform. "The car is quite easy to drive, and we are speaking about world champions, people that were fighting for titles and had been competitive in previous years. How can I compare them in one season? Do I have to be surprised by the performance of Bjork and Yvan? No, because the car was well developed so they jumped in already well prepared. "Everyone who jumped in the car was competitive, and in my opinion [this is] something that has shown also how well Gabriele did. He performed well - of course like everyone along the season you can see there were highs and lows. "What I'm surprised [about] is that every time I saw him after a qualifying session or race you can see he is as hungry and focused as a young guy - maybe even more so." What’s a driver who crashed under the safety car in one race, spun and wiped out several rivals at the start of another, hit his team-mate in yet another and threw away too many points doing in the top 50? Well, that’s just one part of what Grosjean did this season. For as well as some strong race drives, he was ferociously quick in qualifying and made Q3 a midfield-leading 16 times. “There are four spots [in Q3] for us to go in, so it’s challenging,” says Grosjean. “It’s like in a top team you have to be in the top four all the time. The feeling in the car has been better and better. Definitely, the Canadian update [in June] helped me with the car, but I think it was more in here [taps forehead]." 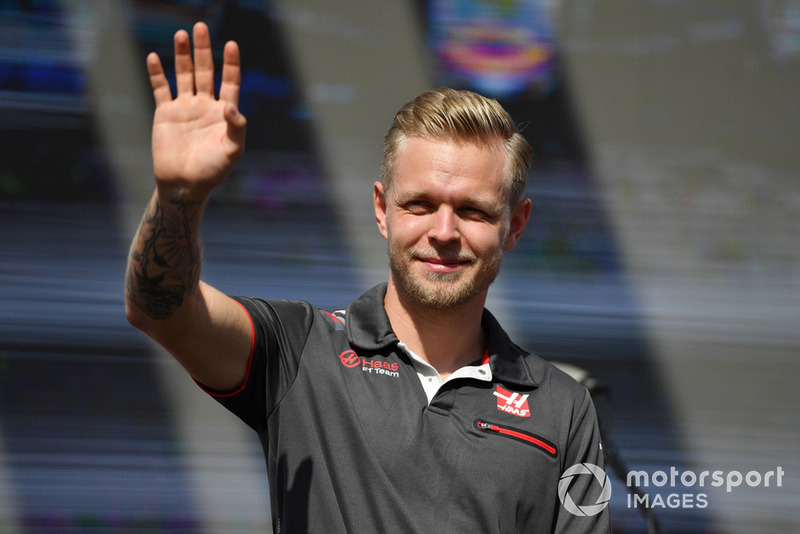 Magnussen emerged as a more consistent F1 performer and was the more impressive Haas driver in the first half of the season. 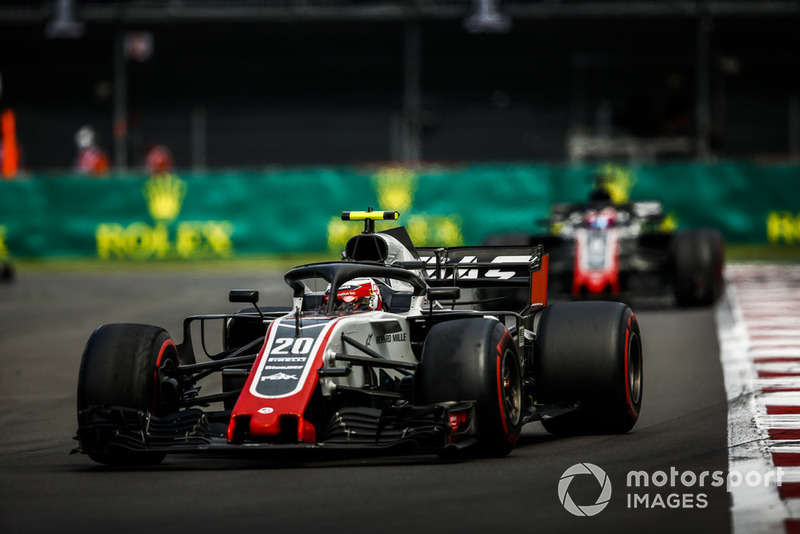 While Grosjean asserted himself in the second half of the year and unlocked more pace, Magnussen remained a formidable competitor and isn't satisfied simply being a leading midfield runner. “In that way, this is the best time in my career,” he says of how comfortable he is with the team. “But unless you are fighting for wins and championships, it isn't going to be that great. It does frustrate me, it's not that exciting fighting for best of the rest. I've almost forgotten what a podium felt like, or a pole position or a championship because it's so long since I've had the chance." AK: At the start of the season, I don't know if Romain was trying too hard. He knew the car was good straight away, and we know that he is naturally very, very quick. But quite often he tries to get 100% out of it too quickly and when he cannot get that, he gets frustrated. So I didn't think that balance was right and when he started making mistakes like he did at Baku it didn't really help. We had the upgrade in Canada but we had a problem with the engine so he couldn't qualify. 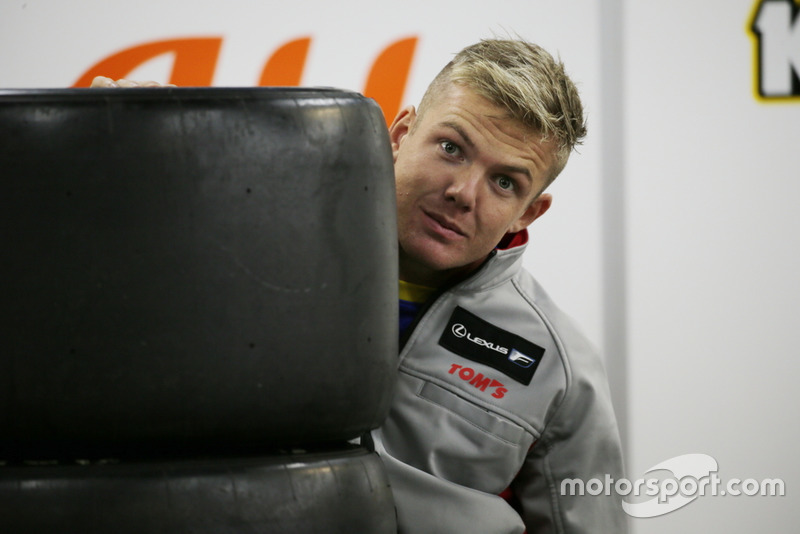 At Paul Ricard, again he was quick but in qualifying on the used tyres in Q3 he made a mistake he shouldn't have. That's trying too hard where he didn't need to. But at Hockenheim, I really felt his approach from FP1 was totally different. He didn't qualify all that well, but he was racing well and when the rain started, he was brilliant. He said after the race that he really enjoyed those last few laps, overtaking people, so it's ‘OK, that's what you do this for'. Sometimes, you are under so much pressure you lose that enjoyment. That was the turning point and from then on he was really calm. At Spa and Monza, he didn't have his contract sorted so his future was unclear but he didn't put pressure on himself and did a really good job. The mental approach had changed. AK: He was very happy at the start of the season. If he's in a comfortable place, when he's happy with the car, he's brilliant. Take Hockenheim, he was P5 absolutely on his own, driving well, no slips, miles ahead, but then a spot of rain happened and that's where he's not good at adapting. He made mistakes and lost positions. He overthinks that kind of situation. Kevin just needs a reset for next year to get his confidence and stability back, then he's fine. That kind of calmness is something that he needs. AK: When he is happy with the car, when his mental state is in the right place, I totally agree with you. I think nobody's quicker than him. He's brilliant. But I think Kevin, at least in the first half of the season, still had really good confidence. Some drivers, if they are behind in FP1, FP2, can panic. But Kevin didn't panic at all, went through the data with the engineers on when he's losing time. He's confident he can get there.<br>It was interesting seeing [that] from Kevin, I thought at least in the first half of the season. Then he developed. Last year his weakness was qualifying – under pressure. He's almost getting through that now. For sure Kevin has got it. Being in his second year with the team helps, I'm sure that's part of the reason he was performing so well at the start of the season, but now that Romain has been consistent, I guess he put pressure on himself as well. We need to manage that, but both of them have got potential. Q. Although Kevin had a few scrapes, it also seems he's found the line more often than not and is better at not overstepping the mark? AK: I agree. In a normal, stable condition, he's a good racer. That's one of the reasons we signed Kevin. We saw his races in a Renault – not a very competitive car - his racecraft was good. Q. In the first part of the season Kevin seemed happy with the car while Romain was saying there was understeer. It suggests Kevin benefits from a very stable rear end, like Jenson Button in the past, but Romain preferred it later in the season and complained about understeer early on? AK: It's true to a certain extent, but both drivers from the off just talked about understeer. We know that our car was very stable in high-speed. In high-speed both drivers said that this car was just fabulous with no issues. And then the low-speed issue was understeer. And then some occasions where there are low-speed corners we have entry stability. So, I really don't think that the car's characteristics changed so that the car's got less understeer or more understeer to operate, it's just not the case. The car's just more consistent. Our launch car had slightly less consistent balance throughout the corner, this one's got more downforce overall but is consistent throughout the corners. So, a driver knows what they can get. So, I really don't think that it favoured one driver over another. 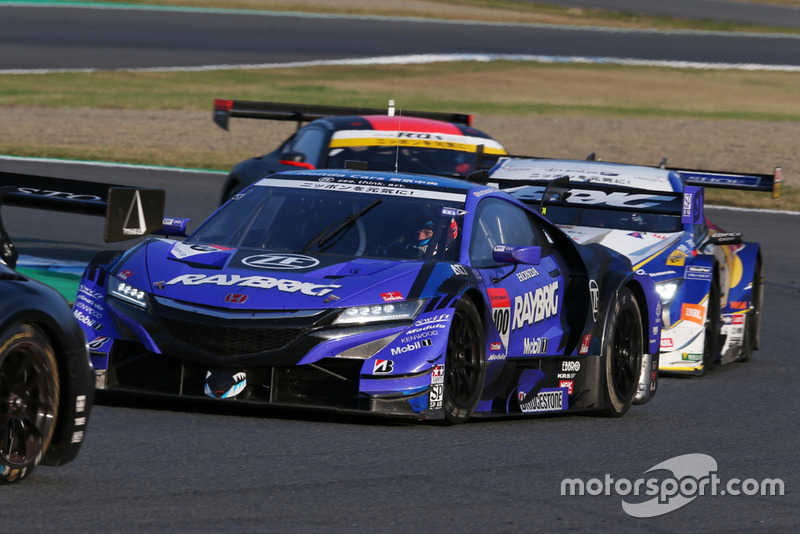 It’s to his credit that – after his toe-in the-water in the 2017 Suzuka 1000Km – Button didn’t underestimate his new challenge in Super GT, and threw himself into an extensive winter testing programme to prepare for his programme alongside Naoki Yamamoto in Team Kunimitsu’s Honda NSX. This was no coast towards retirement as so many of his F1 contemporaries exhibited in Super GT’s European equivalent, the DTM. Granted, he was the weaker half of the title-winning partnership with Yamamoto, but that’s no disgrace when you’re alongside one of Japan’s most talented domestic racers. 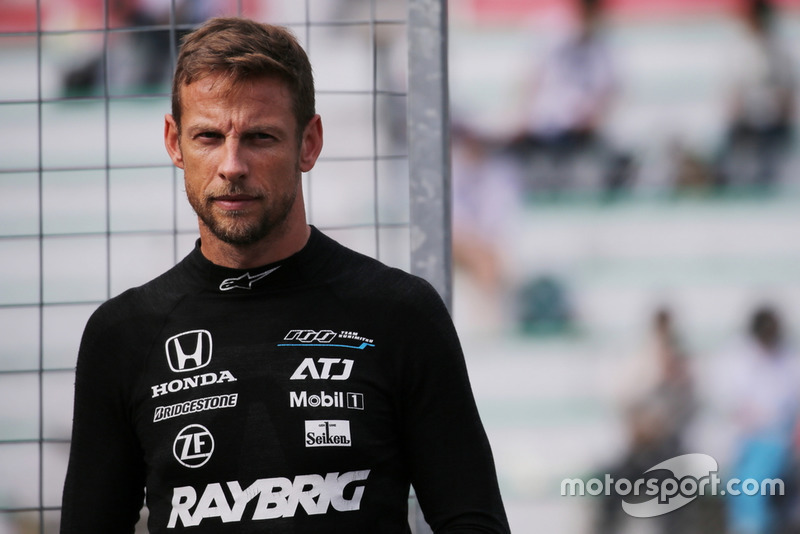 Button's racecraft dodging around the GT300s improved too. He also proved a kingpin of the SMP Racing attack in the World Endurance Championship as he broadened his horizons further. “It’s definitely a hard championship to come into because it’s a lot different to what he was used to. The biggest thing is traffic and the start of races – it’s nothing he’d experienced before. By the end of the year he got a lot stronger and hats off to him – he won the championship. “I was really impressed by how seriously he took the year. He’s come over here, he’s made a great impression and he has a lot of Japanese fans, so that was great for the championship because the attention has grown and brought more people to the track. And he’s a friendly guy, and good to have a laugh with. 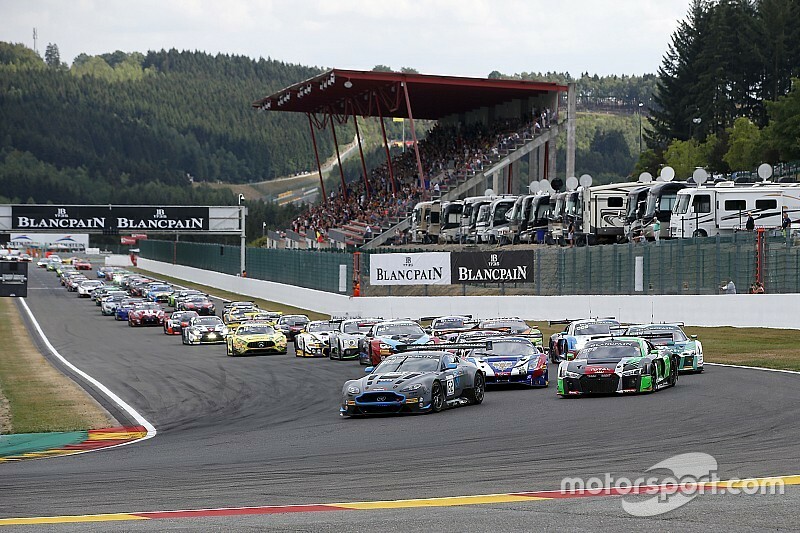 This was the season that Dries Vanthoor emerged as one of the stars of the GT3 category. 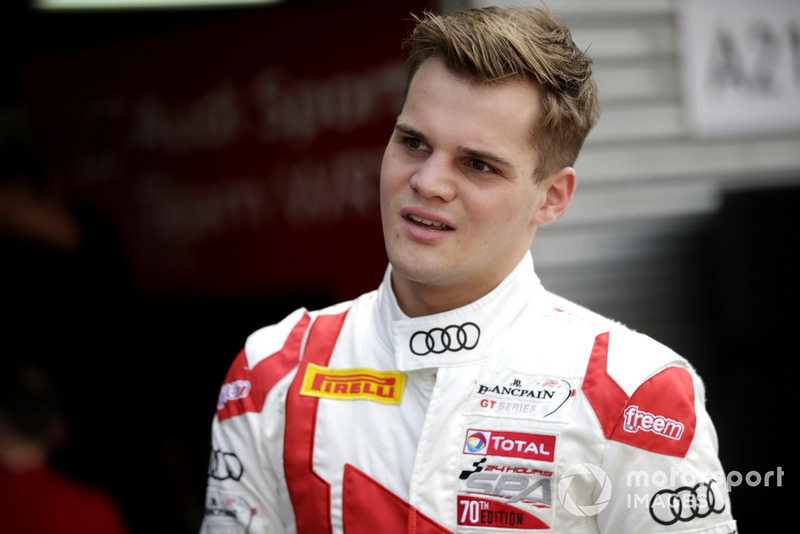 The Audi factory driver truly delivered on the promise we'd all known was there since his maiden season in sportscars as an 18-year-old in 2015. There were a string of sit-up-and-take-notice performances from the Belgian. 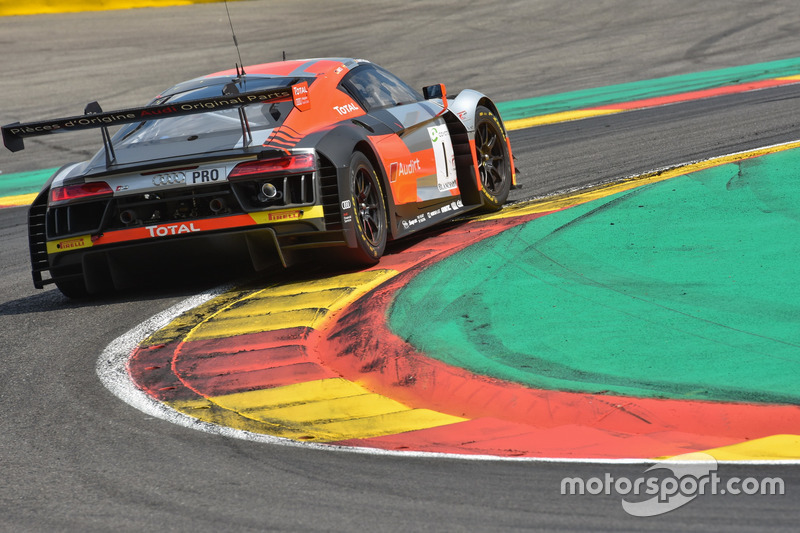 He showed his one-lap pace and his speed over a stint, suggesting that he is very much the real deal.<br>He put his WRT Audi R8 LMS on pole for the Spa 24 Hours by a cool six tenths (it's irrelevant that he lost that pole in the scurtineering bay) and then starred when it mattered at the end of the Blancpain GT Series Endurance Cup opener at Monza and the Suzuka Intercontinental GT Challenge event. "It was definitely one of the best laps I've driven in my life. Maybe it's the kind of lap you end up doing once or twice in your career. "The car was absolutely on point and I feel I took the maximum from it. At no time on the lap did I think I'd lost some time or thought that I could have taken this corner or that corner quicker. "My first lap was good enough for pole, and I really didn't think I could do another one like that. But I found some time in the second sector and was surprised when I saw the difference. 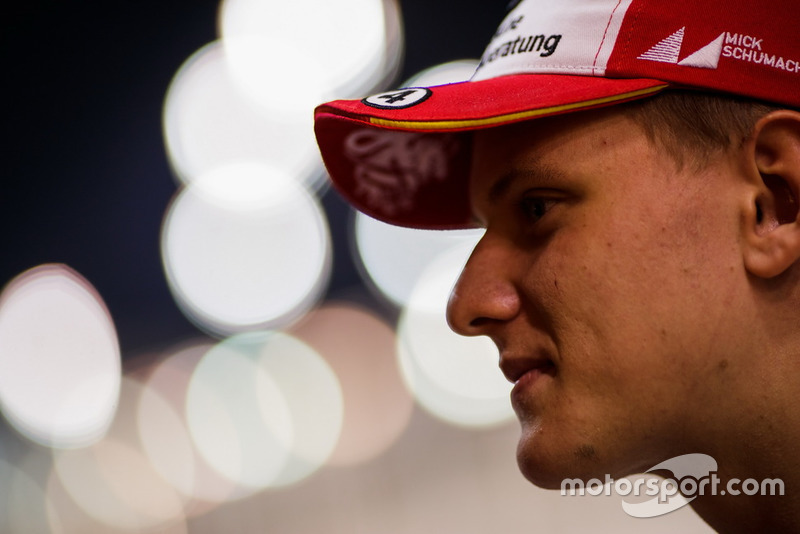 "I felt under pressure because I knew we had a good car. I wouldn't say I was expecting to be on pole, but I knew that I should definitely be in the top three. "If I hadn't been on pole with that lap I wouldn't have been disappointed, because I know I totally maxed it." 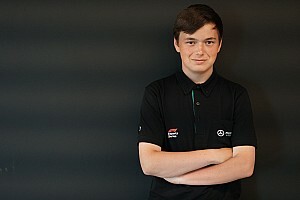 Up until the late summer, Schumacher was no more than one of the five Prema Powerteam drivers in there pitching for a potential win at each F3 European Championship event, with rookie team-mate Marcus Armstrong generally spearheading the team’s title attack. Then came a much-discussed late-season turnaround that set him off upon an unstoppable winning spree in the run-up to the Hockenheim finale, where he kind of reverted to his previous form – and carried that through too for a slightly disappointing Macau GP. This is not the place to discuss all the paddock gossip but, notwithstanding that, Schumacher’s peaks weren’t as 'wow-did-he-just-do-that?' awesome as those of Ticktum or Vips. And, at this level, that’s arguably at least as important as title successes. 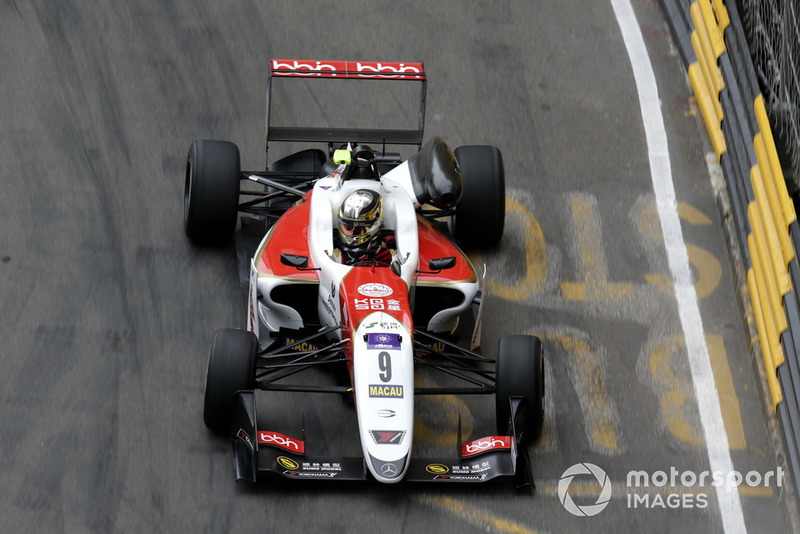 For those among us who like statistical symmetry – and there’s nothing wrong with being a bit of an anorak – a Mick Schumacher victory in the Macau Grand Prix would have been ideal. After all, it was his second visit to the Guia circuit, and his father Michael and uncle Ralf both took two attempts to triumph there. Michael’s win in 1990 is one of the most famous in Macau history, coming as it did following his last-lap coming-together with Mika Hakkinen. Ralf’s 1995 success was also a notable one: a typhoon caused the GP to be compressed into one race, and he strode to victory from Jarno Trulli. Could Mick follow suit? 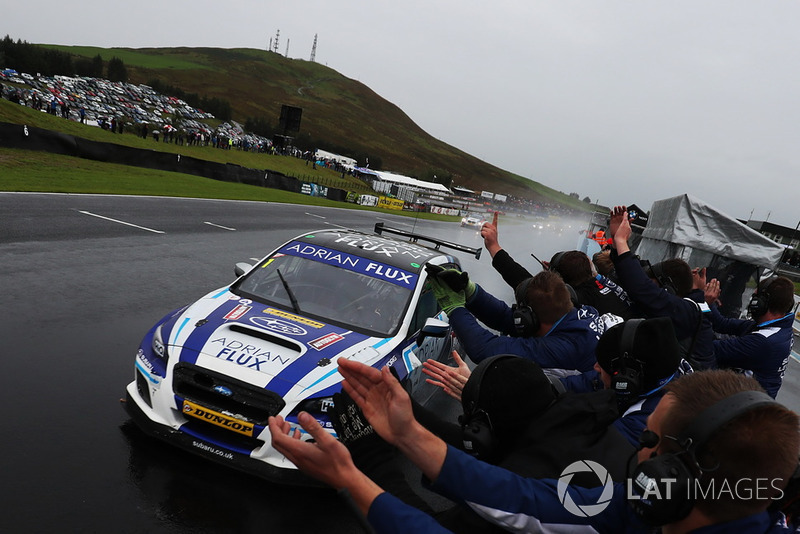 Ash Sutton’s stock was extremely high coming into the 2018 British Touring Car Championship season. Not only was he the reigning champion, but he was one of the youngest of the modern generation at just 23 years old. His title defence started on the back foot as a new engine tuner for the Team BMR Subaru Levorg altered the characteristics of the car. It took the team and driver until Croft just before the middle of the campaign to get on top of the combination. Once it was refined, Sutton kickstarted a mighty comeback to try and haul himself back into contention. 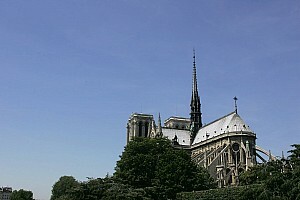 He had gone to Croft 13th in the points and 66 marks away from the summit. 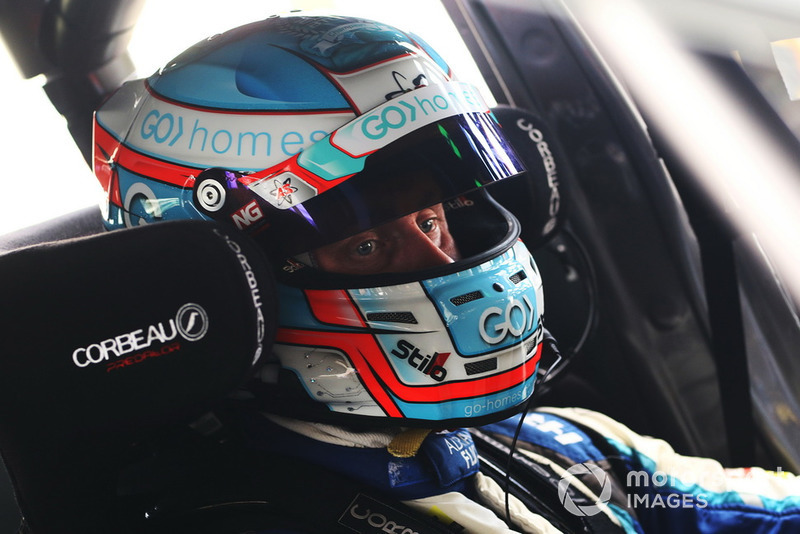 He hunted down points leaders Colin Turkington and Tom Ingram and eventually finished third in the championship, still 48 points behind the top but with six wins in his pocket – more than any other driver in the field. Q. How would you assess Ash’s performance? MS: He just gets better and better. I think he has the potential to become the Ronnie O’Sullivan of the British Touring Car Championship. He had a good grounding at Triple Eight in the MG in 2016 – the one-lap pace was there, but there were some unpolished edges. He has smoothed off those edges now and he has it all: pace on Saturday in qualifying, and then superb racecraft on Sundays. Q. What has improved with Ash’s driving? MS: From the start of the year, his mental strength was key to it all. There were some tough times with the car at the start of the year, but his temperament throughout that was superb. He doesn’t get his head down, and just got on with the best job that he could get on with. Q. What are his key strengths? MS: Well, aside from the raw talent that we first saw in 2016, there is his ability to adapt to the car if things are not quite right. He can change his driving style to make up for any shortcomings in the handling, and he can do that when he is battling off-line in the pack too. Sixth in the Formula 2 championship hardly seems fitting of Autosport’s top 50, especially when (spoiler alert here) some drivers above him haven’t made the cut. But unpick the Brazilian’s season and it’s clear he deserves to be on the list. 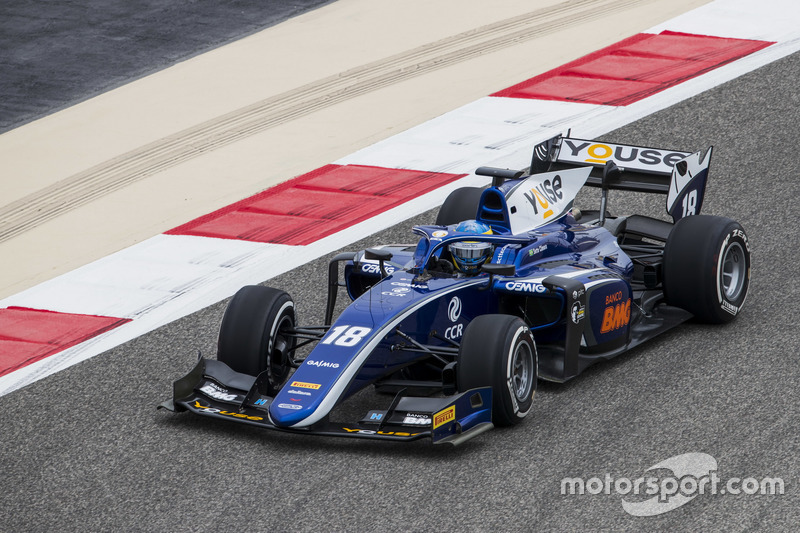 First off, he outqualified his McLaren F1-bound Carlin team-mate Lando Norris overall this year - averaging a position higher than him on the grid. Norris claimed his early season form was in part down to being pushed so hard by Sette Camara, who suffered some of the worst luck imaginable to start the season. 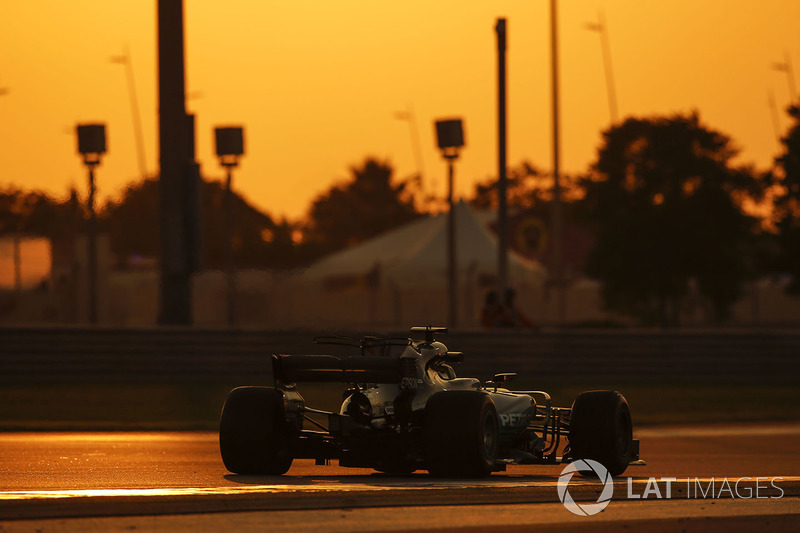 A second and a third at Sakhir was followed by a fourth and a second in Baku at round two, but that’s where it started to go wrong. 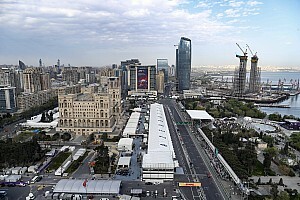 The lack of enough fuel to create a sample for FIA scrutineers post-race in Baku meant he was disqualified from that second place. 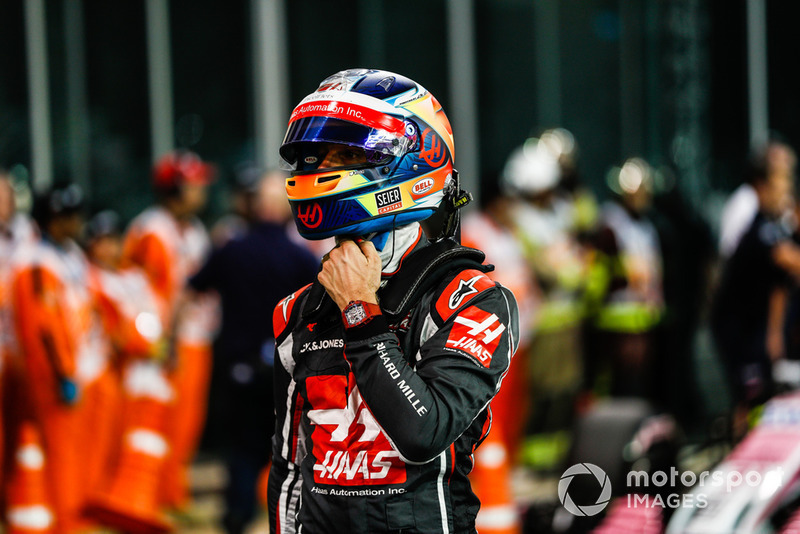 On to Barcelona and an electrical problem hampered qualifying, while his hopes were extinguished completely when his car shut down in the sprint race and the fire prevention system went off. An engine problem hit at Silverstone after he had started that race in fifth. He still took a pole and eight podiums in a massive step-up from his year with MP Motorsport in 2017. So much so that McLaren approached him for a test and development role. A third season in F2 beckons, and a switch to DAMS has been secured. "A lot of his work will be based on simulator development, but it's not only that. We'll bring him into the family - he is going to have a lot of exposure to our engineers and everything we do in-house. A lot of work and shall we say familiarity with the physical preparation aspects, and also marketing and how to deal with you guys [the media]. "It's a very holistic programme. Sergio already has some exposure to our simulators and some of our engineers. He has a good relationship with Lando already, which is helpful. "McLaren's mentality is to bring the best people, whatever age or nationality, and this is why Sergio fits that bill. As he was Lando's team-mate, we had more visibility about what Sergio was doing and we saw 'OK, this guy fits the bill'." 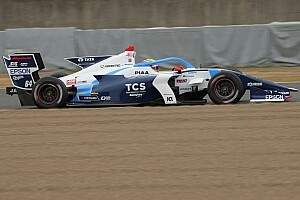 In just his second season in Super Formula and his third in Super GT, this 24-year-old New Zealander came within a whisker of winning both titles. The most impressive of those achievements came in the single-seater category. Kondo Racing is far from being Toyota’s spearhead, and historically is more like a third-string operation, yet Cassidy worked hard behind the scenes on the team’s operations and, after a disappointing opening round, was a force everywhere. 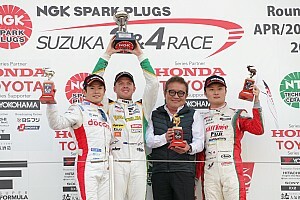 With his talented young team-mate Kenta Yamashita, Cassidy carried Kondo to an emotional teams’ title, and was only denied in the drivers’ stakes at the last gasp. 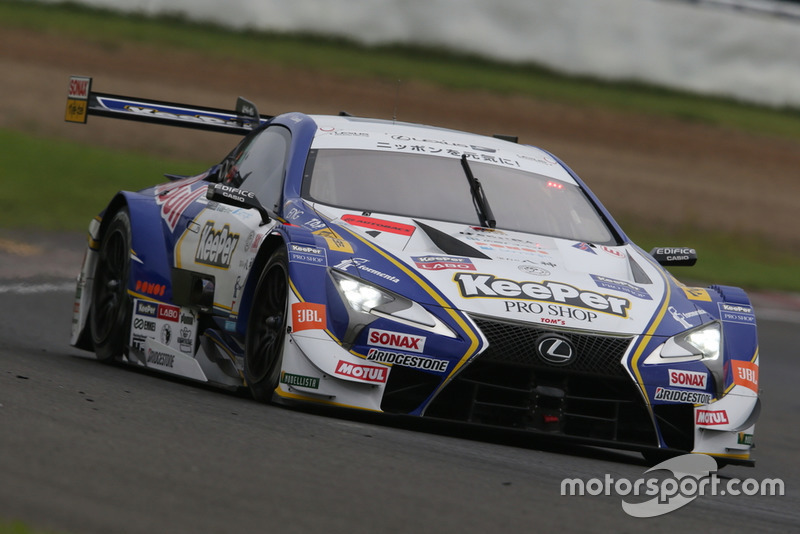 In the GTs Cassidy was with top Lexus squad TOM’S alongside Ryo Hirakawa, and they fell just three points short of repeating their 2017 crown. “There weren’t any changes at Kondo Racing – it was the same personnel as 2017. Last year we were well behind and we started that way this year, but we started to put better systems in the team – I pushed to introduce new working styles, and that started to pay off. “By round three or four we were starting to understand things a lot better, and when you understand your performance you improve, whereas last year I had a pole, a podium and weekends where we were 17th, and had no idea why. 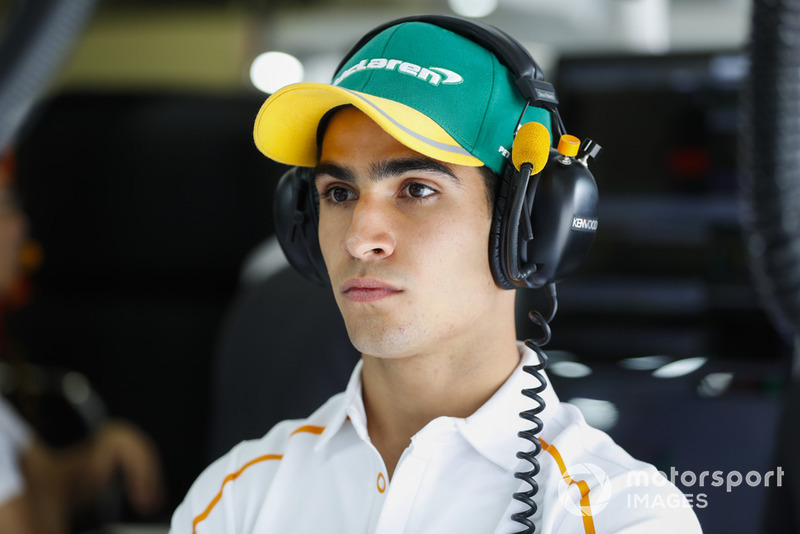 “One of the biggest teams I worked with was Prema [in Formula 3 in 2016] – they did a lot of things great, and their success is no fluke. And if you start copying from those systems that can work. 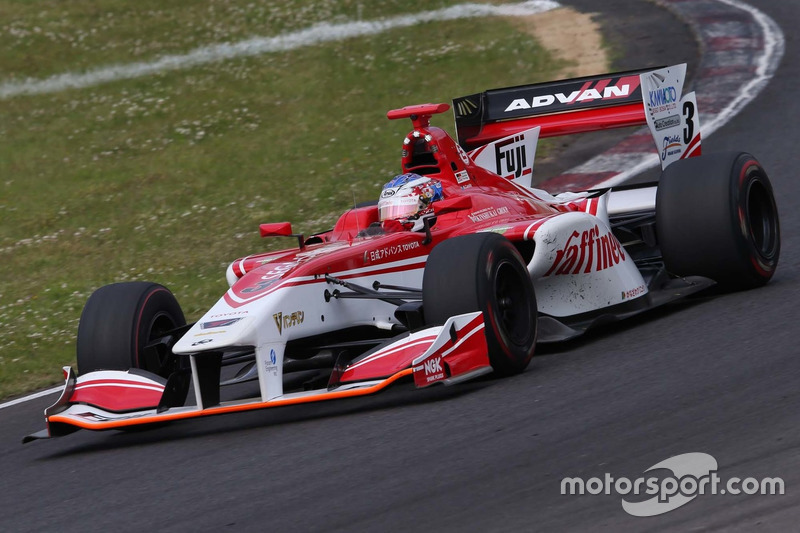 “It’s so annoying to lose by practically nothing – by one second in the last race, again [like Super Formula]! Ryo Hirakawa and I had a great season and to be in the fight for the championship with TOM’S all the way through was really cool. “While I don’t feel we made any mistakes in Super Formula – that was more things outside our control – in Super GT we made too many mistakes. In Thailand we lost 20s in the pitstop with a wheelnut problem, and in the last round at Motegi we went off plan with our strategy. “Driving-wise we weren’t quick enough in qualifying – our best performance was fourth. In the races we were always strong, but our workload was too much and the level’s too good to come through. So it was hard to lose, but in a way that’s good because we can improve. Truex's year as defending champion did not go the way he envisioned. Not only did he fail to retain the title, but he also had to compete for it while the future of the Furniture Row Racing squad was in serious doubt. When his team's closure was confirmed Truex found refuge at Joe Gibbs Racing for 2019, and the fact he was able to continue to fight for the '18 crown in the circumstances was impressive - as was holding his own in the dominating 'Big Three'. He adapted well to the new challenge of having stronger opposition than in 2017, when until Kyle Busch's late surge he was often a class apart. But his year was not without error and he was ultimately the weakest of the season's 'Big Three'. Truex's naivety in the battle with Logano for a final four place at Martinsville could well have cost him a championship shot if the remaining playoff races had not gone his way. There was a feeling he should have learned from a similar clash at the Charlotte Roval with Jimmie Johnson, which complicated his playoffs route. Truex threatened to get his own back on Logano following that Martinsville clash, but beyond a slight tap of Logano's Ford at Homestead, he showed he was not comfortable in that close-quarters intensity. On the night when it mattered at Homestead, Truex was at the front. But in the Logano rematch, a mix of bad handling and Truex's poor choice of corner lines cost him the title. There was a feeling he could have put up more resistance. Of the NASCAR final four, only Logano got in as many scrapes as Truex. The difference was that Logano almost always came out on top. One clash can easily be a casual consequence of NASCAR's racing style, but repeated similar incidents suggest a wider issues lying beneath the surface. In reality, he was the weaker of NASCAR's 'Big Three', never able to put together the dominant showing and win streaks that Harvick and Busch reeled off. Those two elevated themselves above the pack, while Truex admitted it took a while for his champion Furniture Row Racing outfit to get going. Crucially, Truex seemed to become unsettled by combative rivals. The first warning shot was Charlotte, when the desperate Jimmie Johnson - who ended 2018 without a win - made a lunge at the final corners that cost Truex victory. Truex was furious and called Johnson out: "He wasn't ever going to make it through that corner whether I was there or not. It was just desperation on his part and pretty stupid really." He was back into a war of words after again leaving himself vulnerable on the final lap at Martinsville, only this time Logano was far sharper than Johnson was. 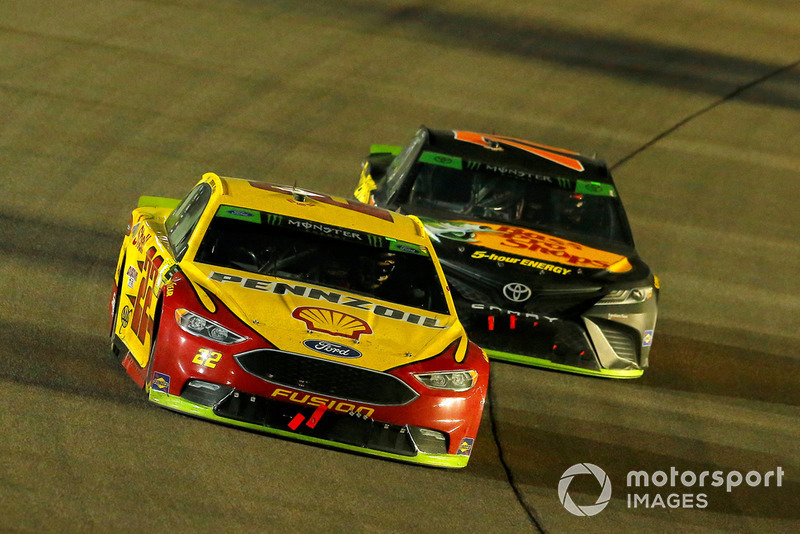 Logano unsettled Truex's Toyota and stormed past to secure a final four place and leave the defending champion with a marginally trickier route to Homestead. Again and again Truex called out Logano, promising to race him "differently" at Homestead before meekly nudging him in the decider to remind him of his threat. When the showdown occurred in the late dash to the flag, he was a sitting duck to Logano. Yes, the handling of his Toyota was poor, but his defensive line choices were also poor and made Logano's task easier. 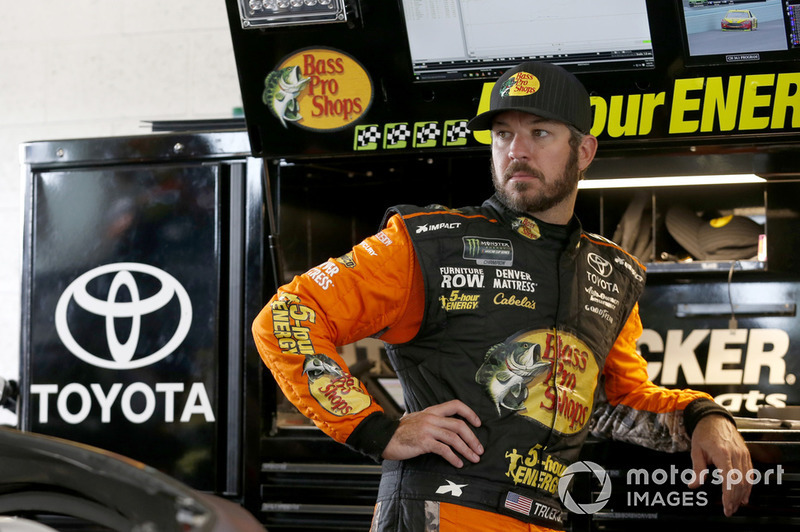 Truex now faces sterner competition next year, moving from a team built around him into a Joe Gibbs Racing outfit spearheaded by long-time rival Busch. How he reacts to that will answer how strong Truex really is in the heat of the battle.